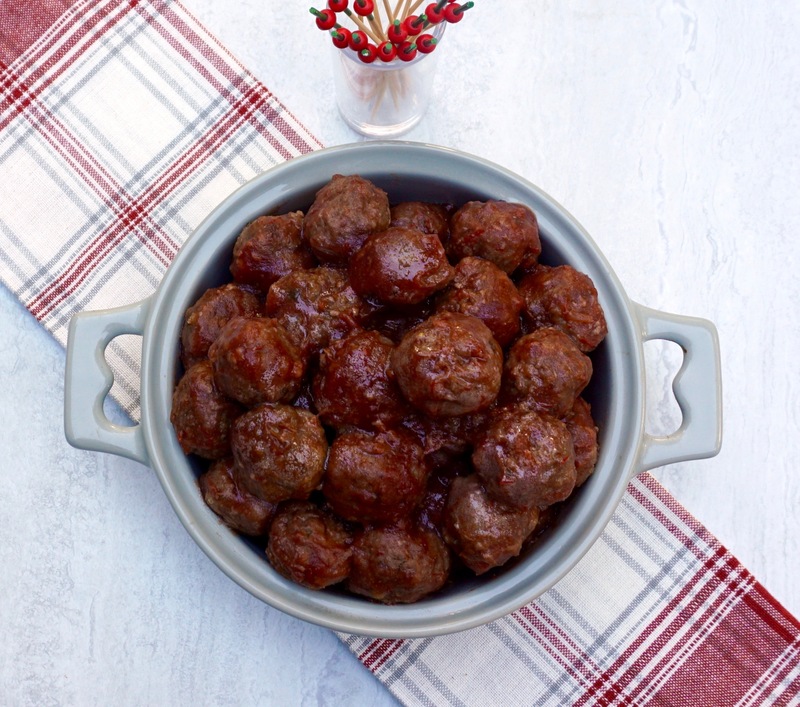 These Cranberry Chili Glazed Meatballs are perfect for holiday entertaining. 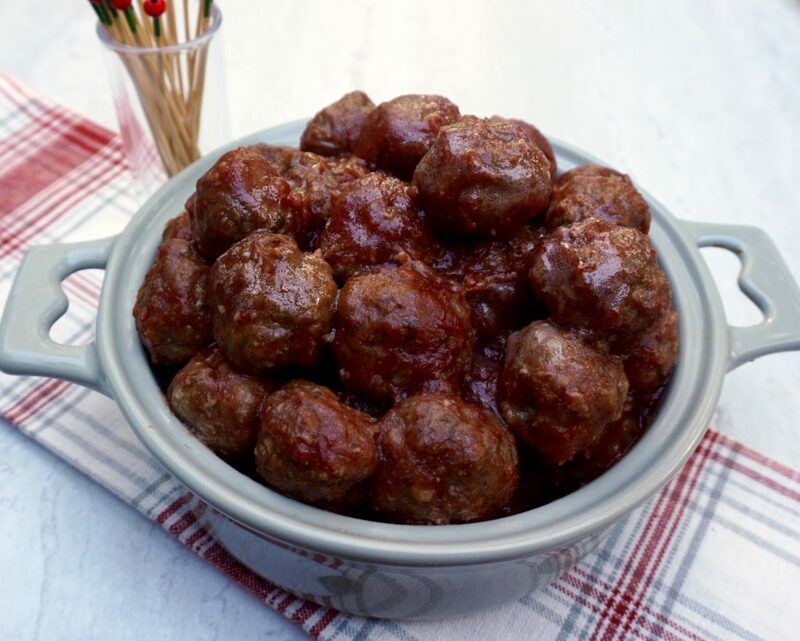 The meatball itself is very flavorful with the soy sauce, ketchup, onion and other seasonings. The sauce is really what puts them over the top though! The combination of the sweetness of the cranberry sauce with the slight kick of the chili sauce makes the sauce somewhat addictive. They are also a very nice festive color. My perfect holiday meatball. 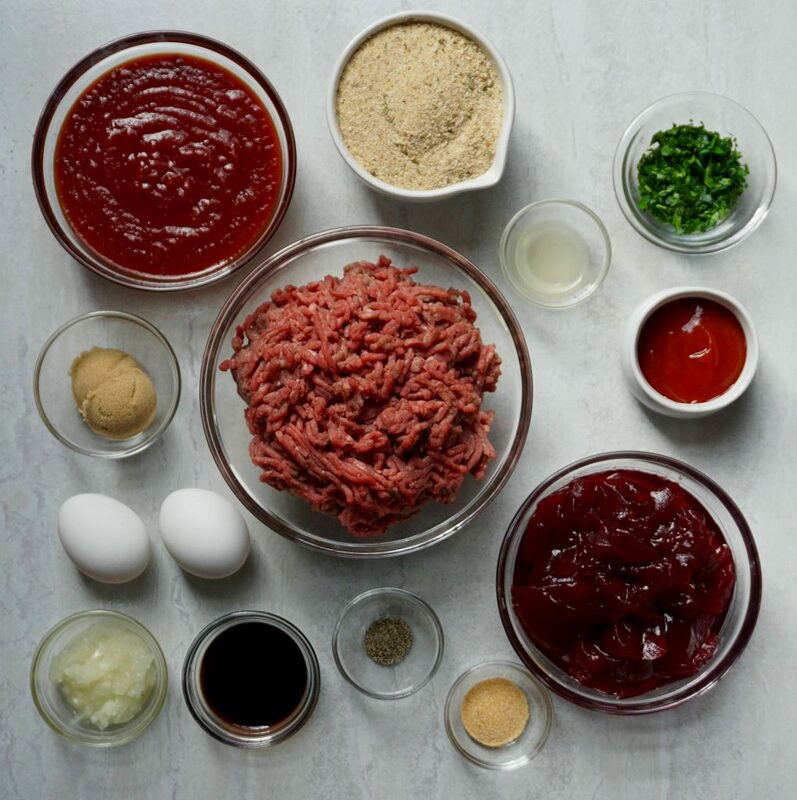 In a large bowl, combine ground beef, parsley, eggs, ketchup, bread crumbs, soy sauce, garlic powder, black pepper and grated onion. Combine well. Form into meatballs about one and a half inches round. Place the meatballs on a wire rack, over a cookie sheet. 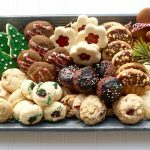 Line the cookie sheet with foil if you want an easy clean up! Bake for 10- 15 minutes until browned. In a large saucepan, combine the cranberry sauce, chili sauce, brown sugar and lemon juice. Heat over medium low heat for 5 minutes, whisking to break up and blend the cranberry sauce into the mixture. 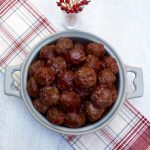 Add the cooked meatballs to the saucepan and simmer over low heat for 15 minutes.